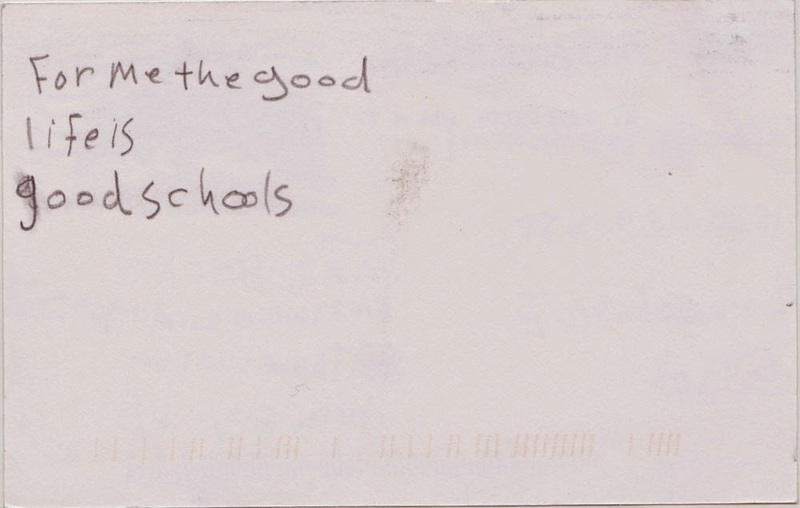 A postcard from Zeyad, sent from Lincoln, Nebraska USA. 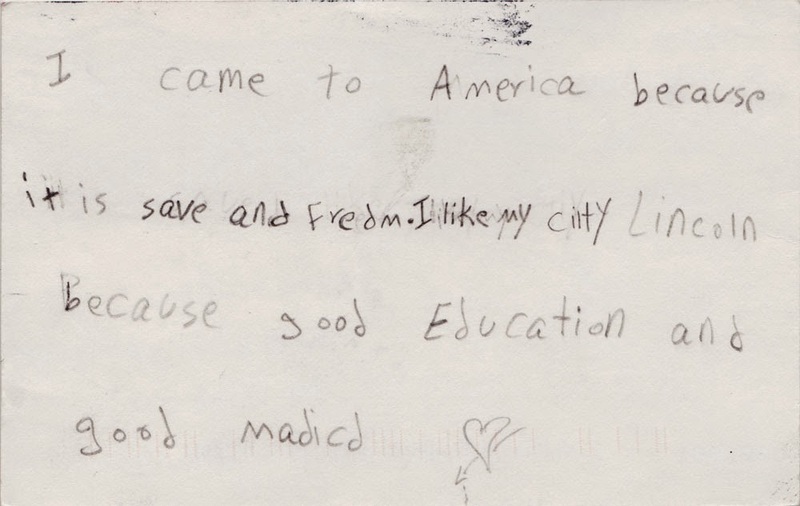 Zeyad attends the Clinton Elementary School in Lincoln. 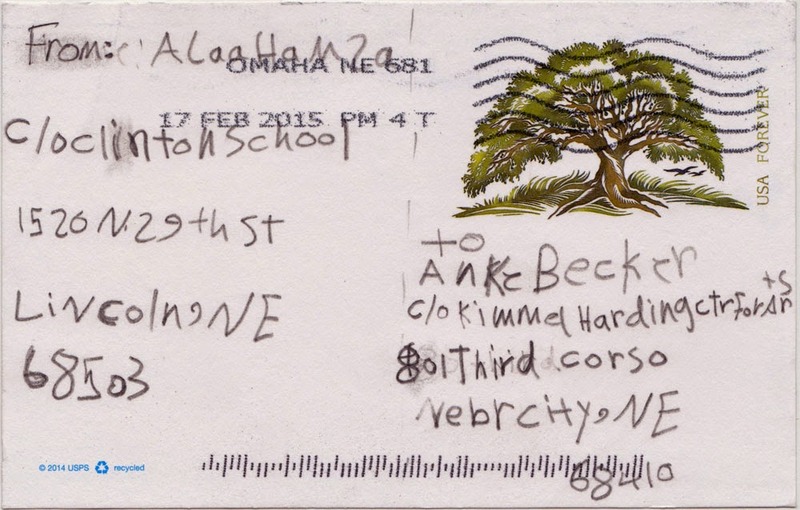 A postcard from Alaahmza, sent from Lincoln, Nebraska USA. 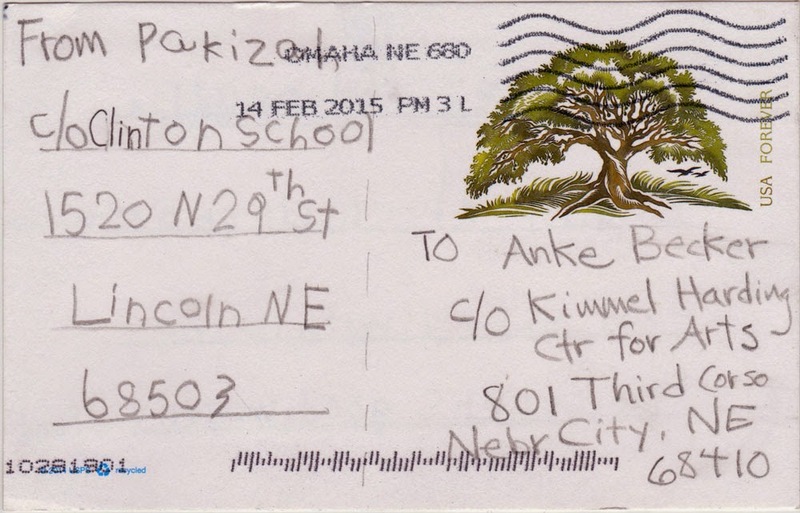 Alaahmza attends the Clinton Elementary School in Lincoln. 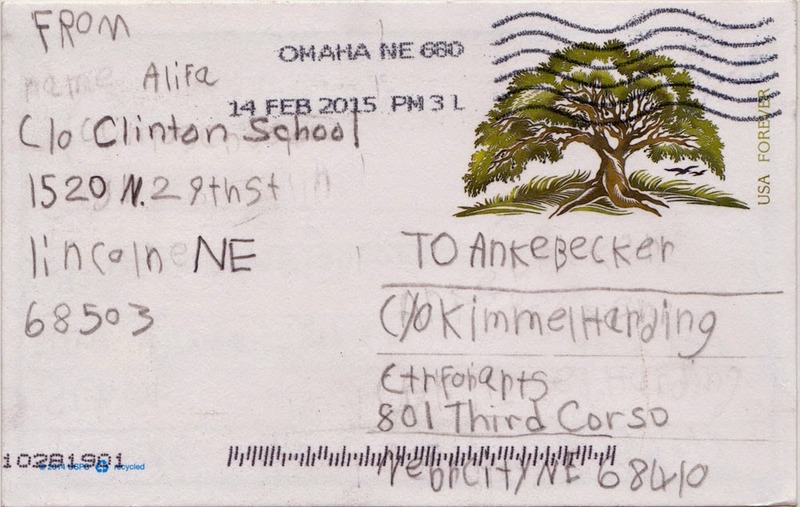 A postcard from Alifa, sent from Lincoln, Nebraska / USA. 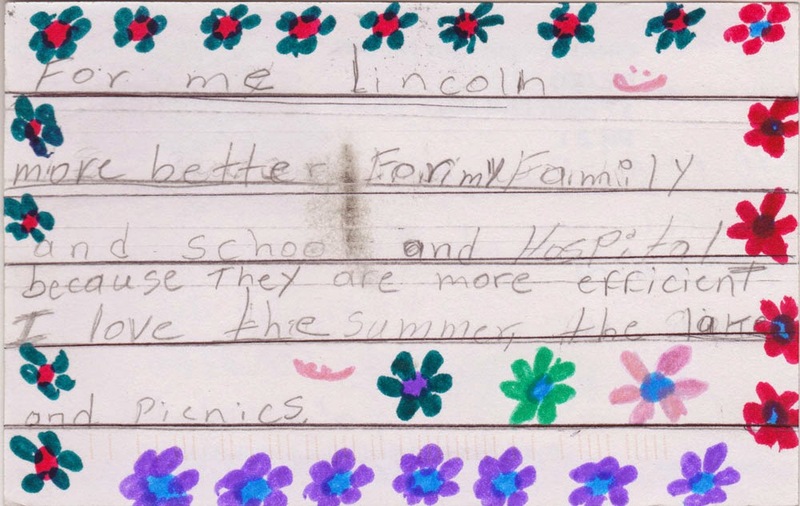 Alifa attends the Clinton Elementary School in Lincoln. 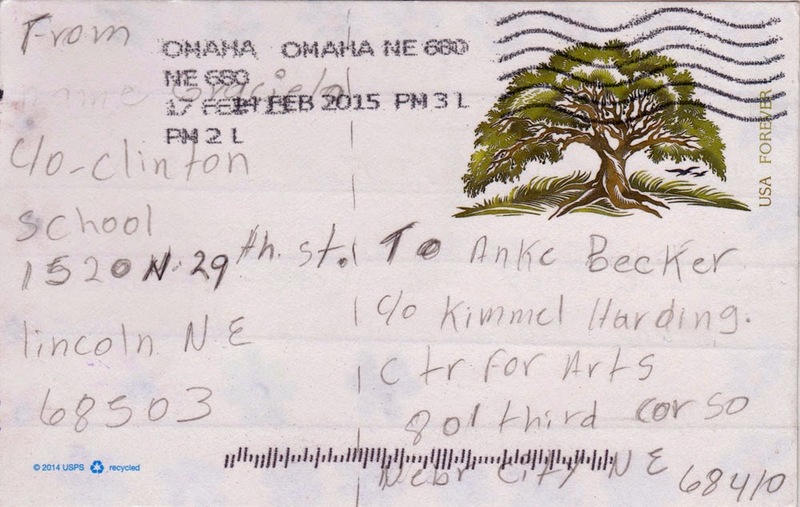 A postcard from Entesar, sent from Lincoln, Nebraska / USA. 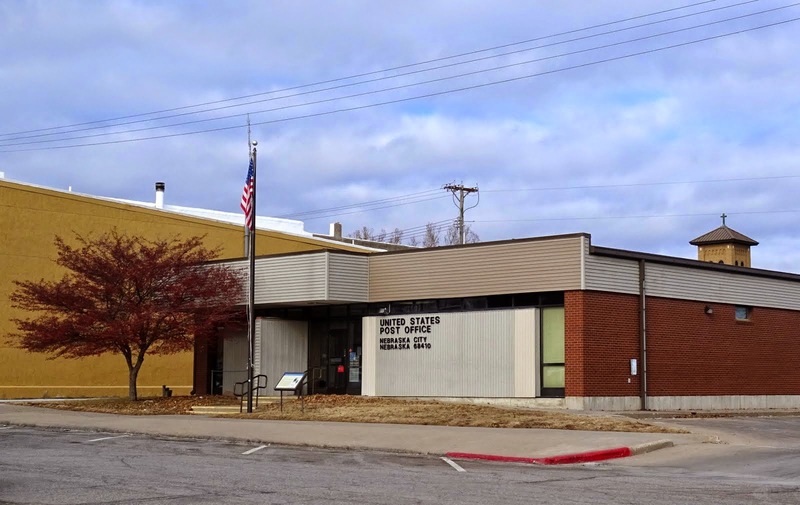 Entesar attends the Clinton Elementary School in Lincoln. 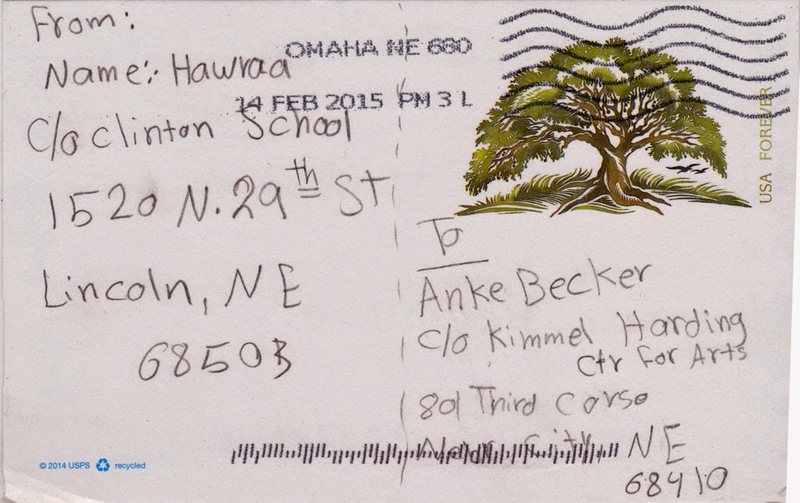 A postcard from Hawraa, sent from Lincoln, Nebraska / USA. 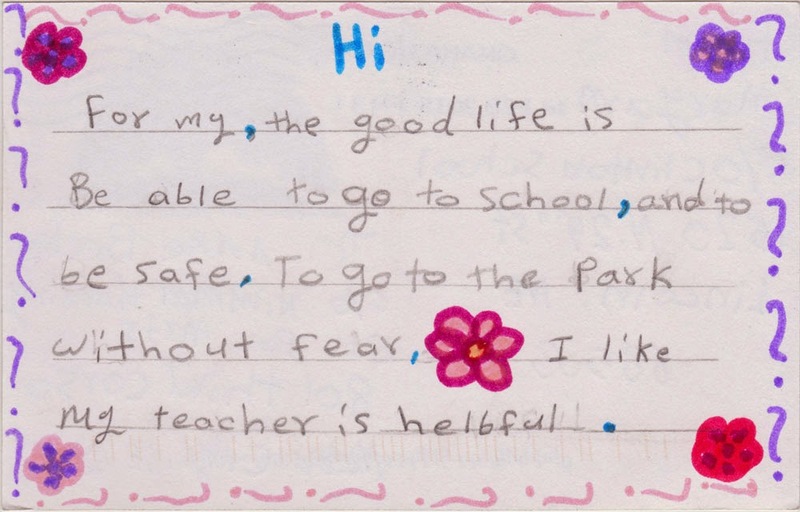 Hawraa attends the Clinton Elementary School in Lincoln. 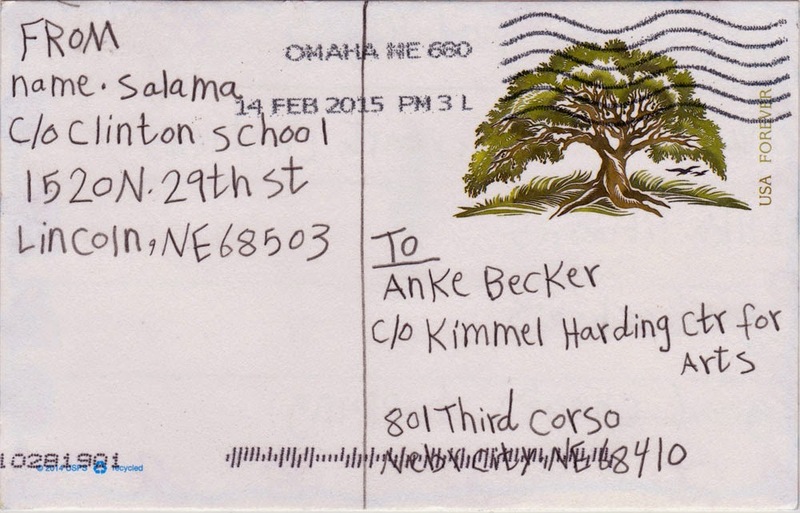 A postcard from Hazzo, sent from Lincoln, Nebraska / USA. 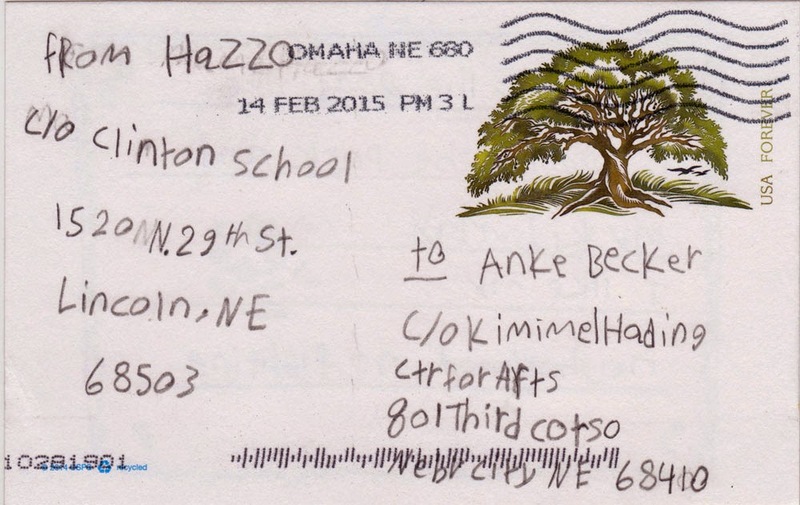 Hazzo attends the Clinton Elementary School in Lincoln. 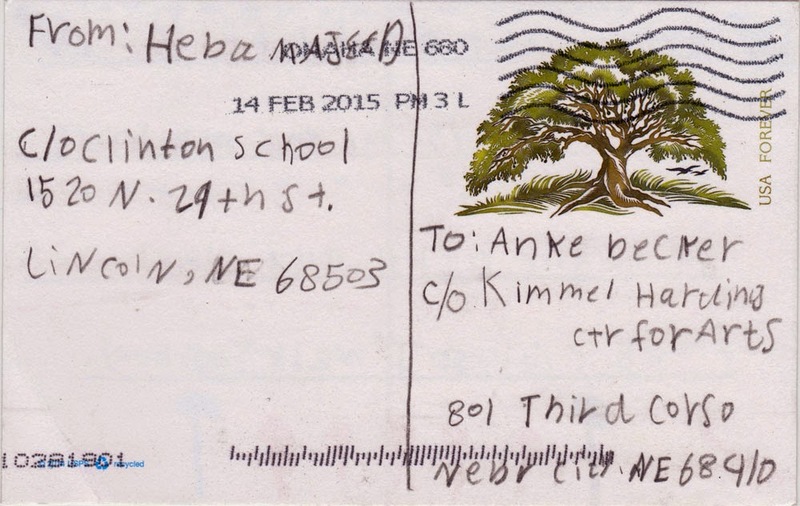 A postcard from Hebo, sent from Lincoln, Nebraska / USA. 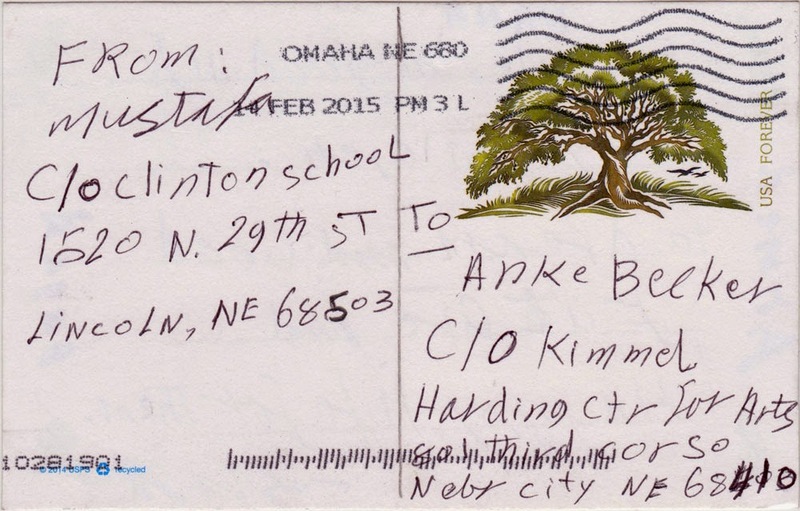 Hebo attends the Clinton Elementary School in Lincoln. 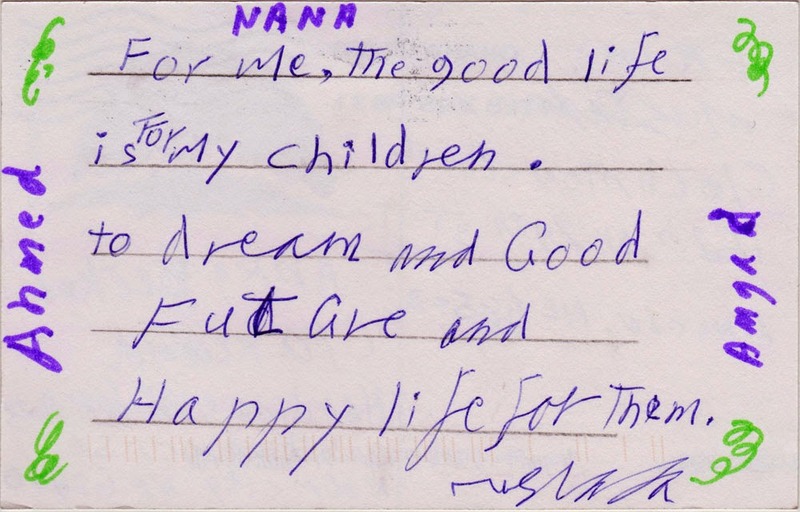 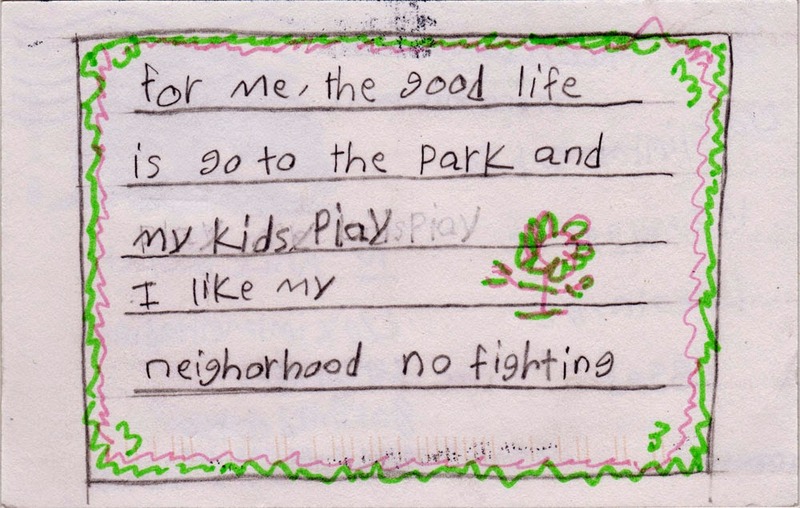 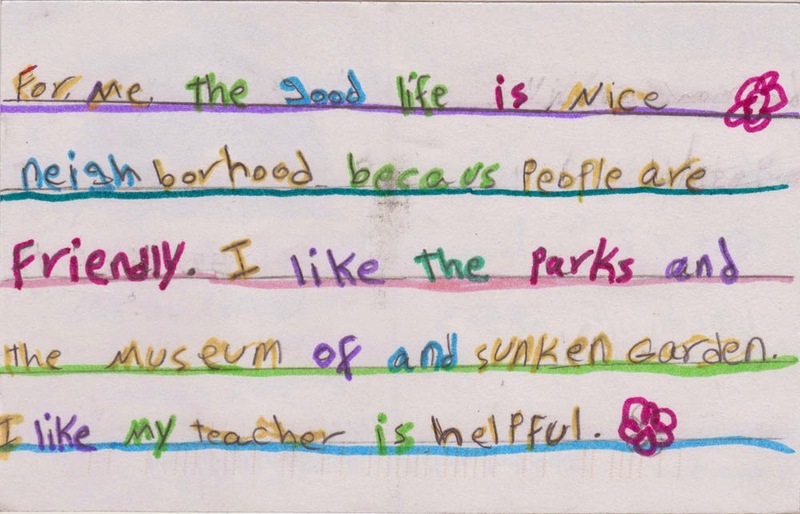 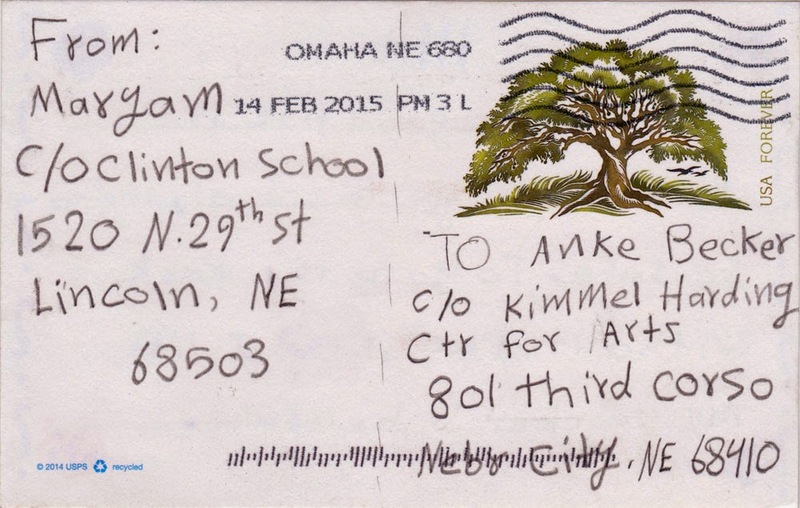 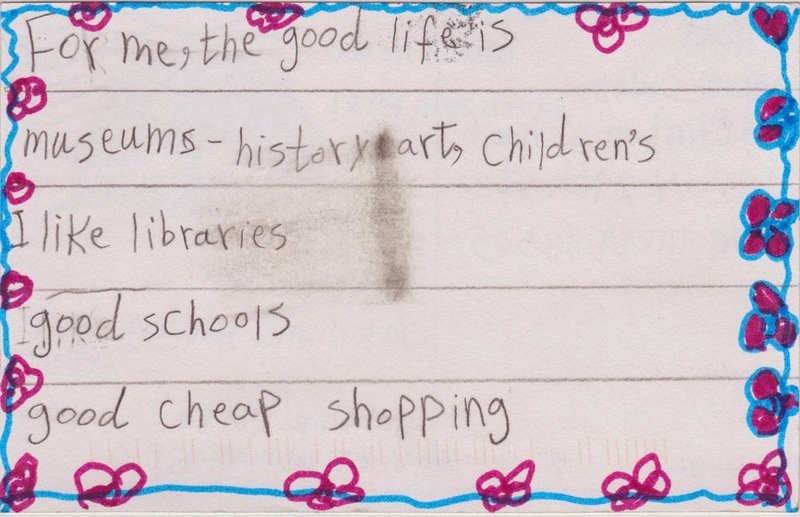 A postcard from Maryam, sent from Lincoln, Nebraska / USA. 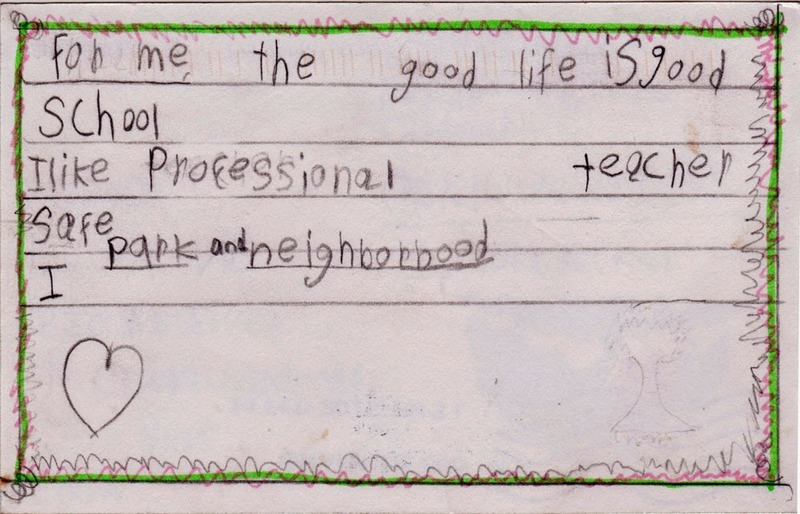 Maryam attends the Clinton Elementary School in Lincoln. 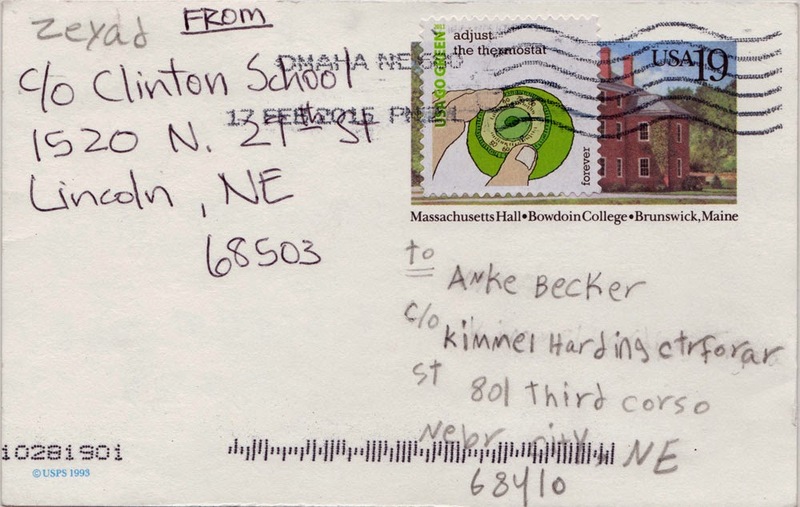 A postcard from Mustafa, sent from Lincoln, Nebraska / USA. 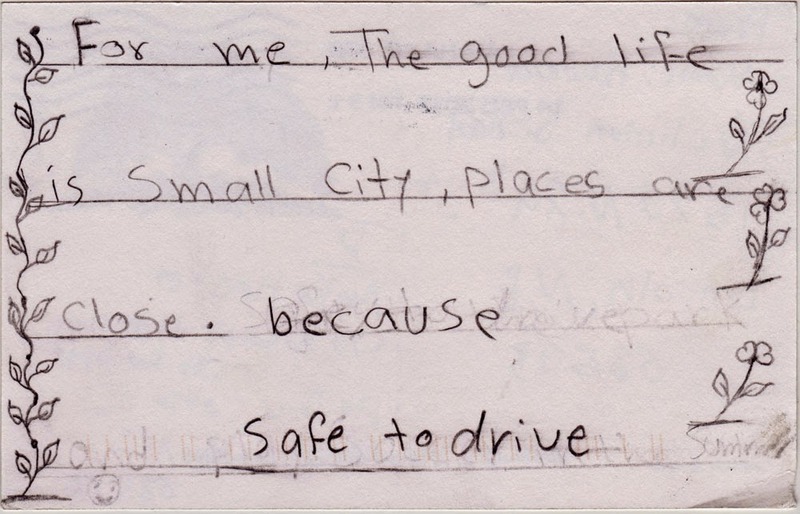 Mustafa attends the Clinton Elementary School in Lincoln. 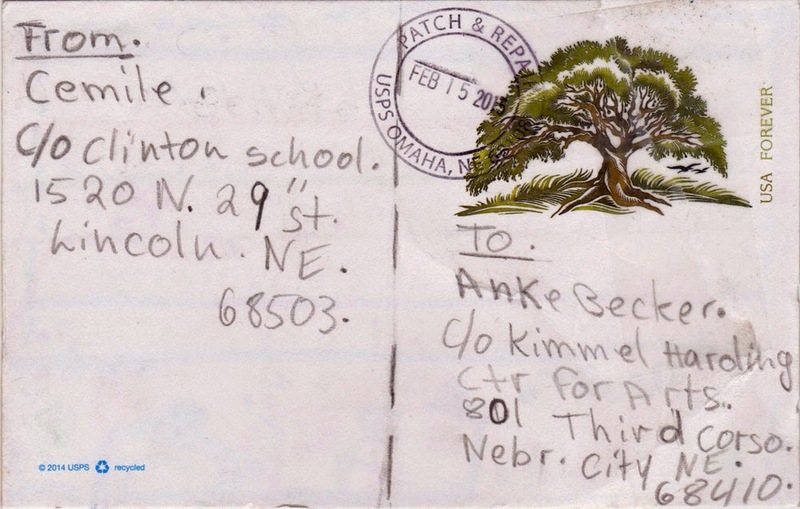 A postcard from Pakizah, sent from Lincoln, Nebraska / USA. 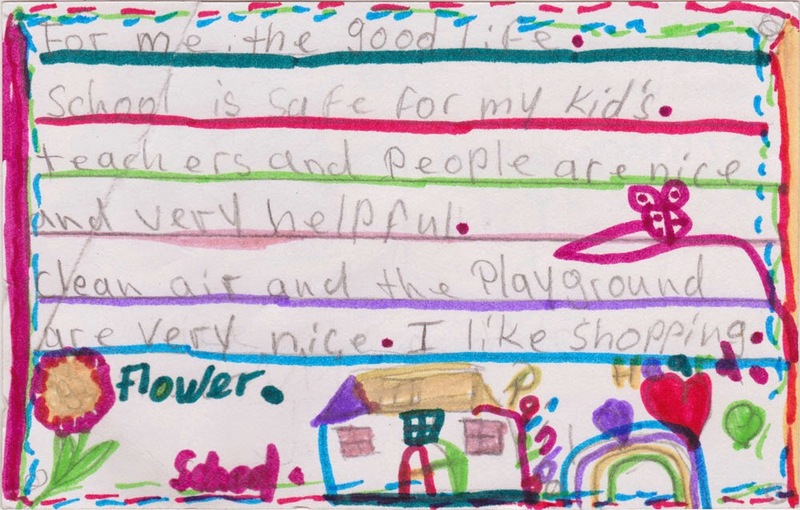 Pakizah attends the Clinton Elementary School in Lincoln. 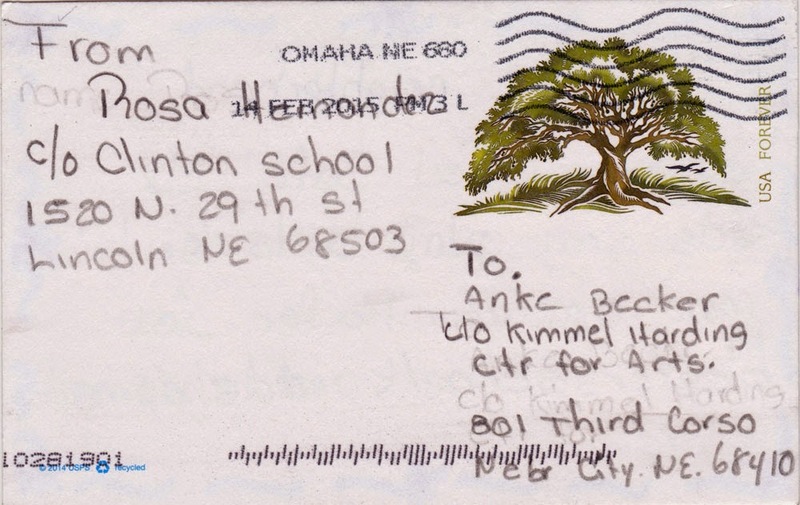 A postcard from Rosa, sent from Lincoln, Nebraska / USA. 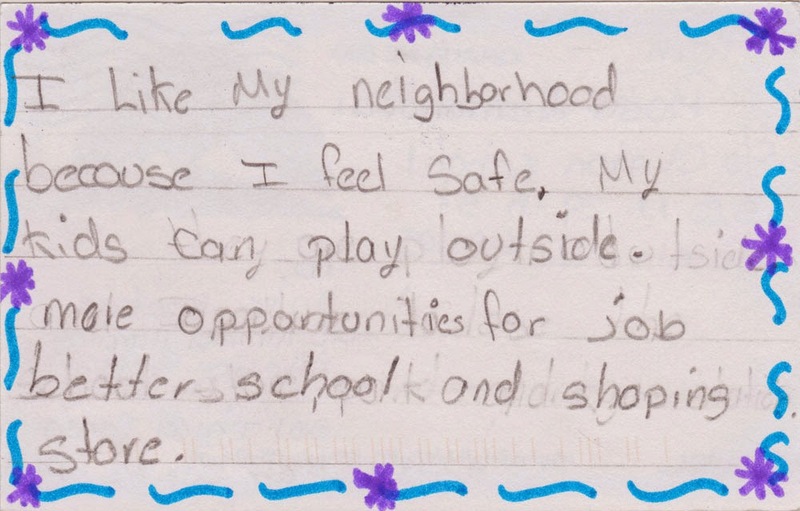 Rosa attends the Clinton Elementary School in Lincoln. 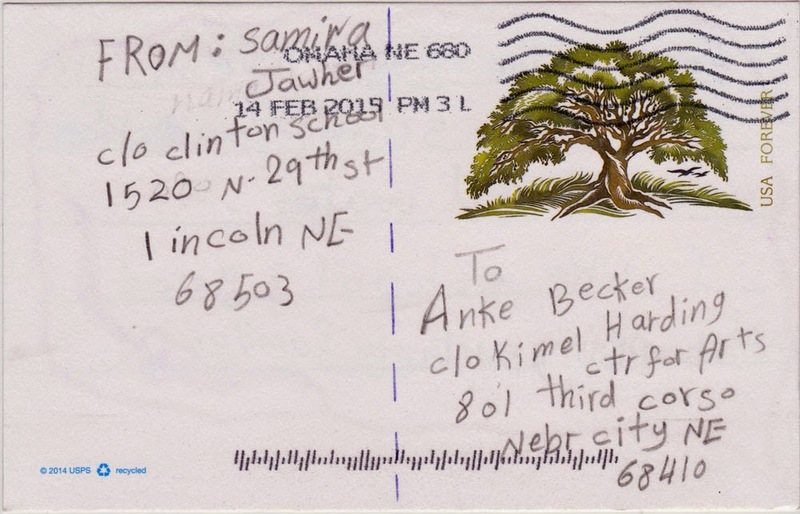 A postcard from Salam, sent from Lincoln, Nebraska / USA. 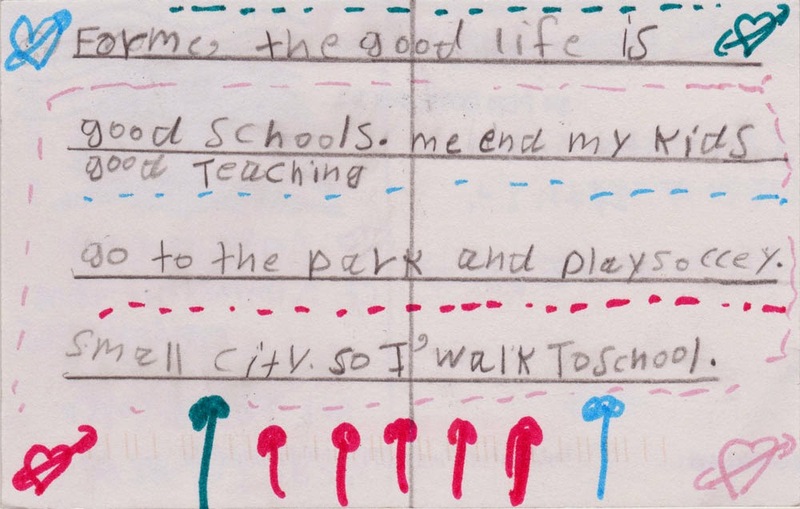 Salam attends the Clinton Elementary School in Lincoln. 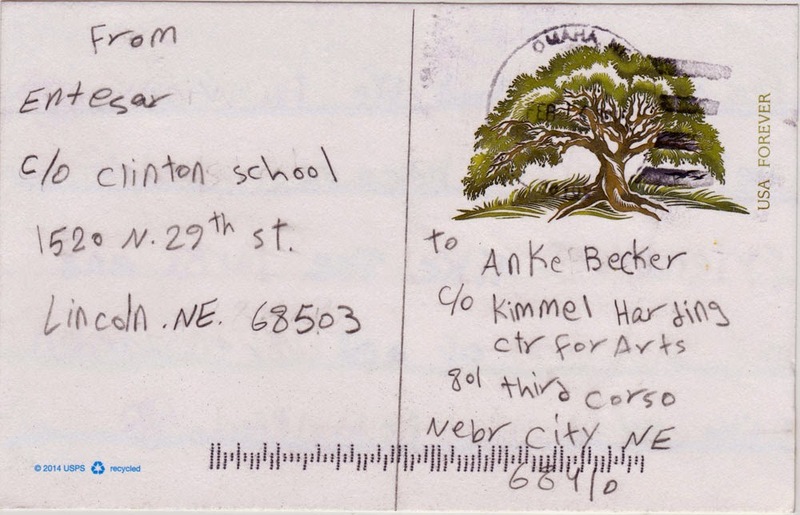 A postcard from Samira, sent from Lincoln, Nebraska / USA. 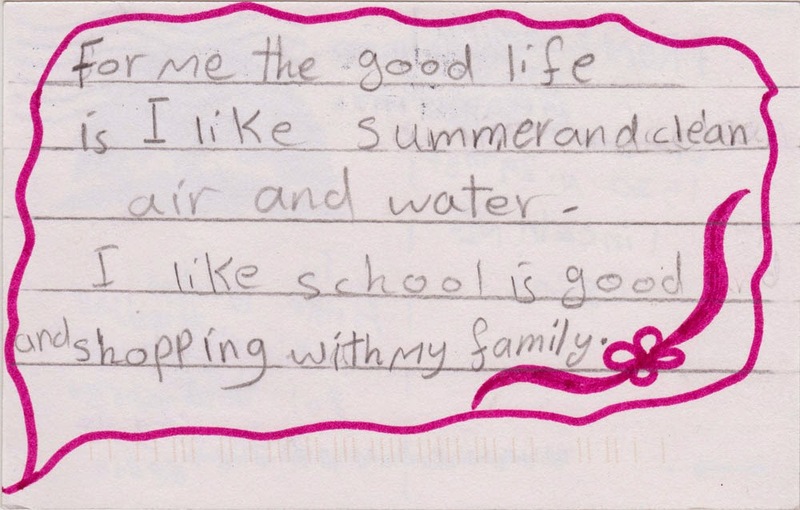 Samira attends the Clinton Elementary School in Lincoln. 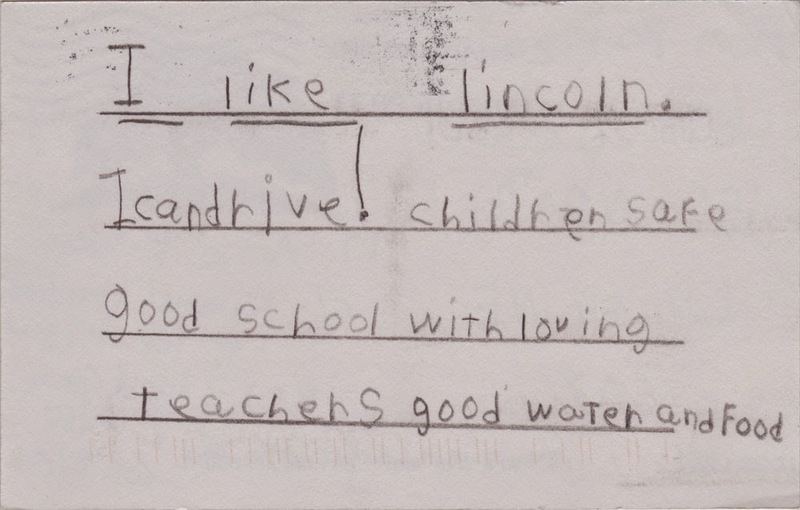 THANKS to all of you for these awesome postcards!